UPDATED Sept. 27, 2011 at 8:29 PM - MSNBC's Lawrence O'Donnell is siding with the Occupy Wall Street movement and comments about police brutality. Video below. UPDATED Sept. 28, 2011 at 2:54 am - Celebrities are joining in support of the Occupy Wall Street movement. Details below. UPDATED Sept 28, 10:26 am - Occupation Together website is helping to organize global occupation protests. UPDATED Sept. 28, 3:07 pm - NYPD Officer Anthony Bologna's Second Pepper Spray Assault with Slo-Mo. Internal Affairs are looking into Bologna's assault. 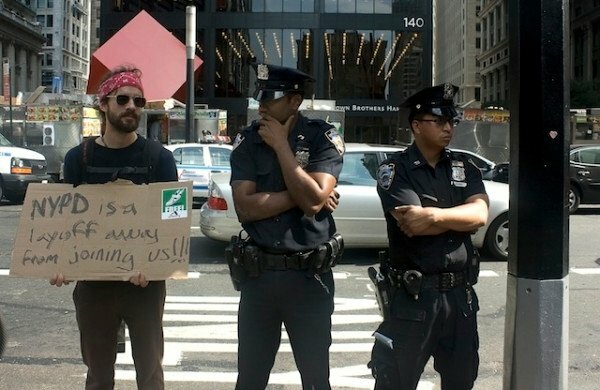 September 27, 2011 - TAMPA, FL - In a bizarre twist of fate, a growing movement of New York City Police Department officers are banding together with the Occupy Wall Street movement, while the main stream media continues to relatively ignore this escalating event. "Today we received unconfirmed reports that over one hundred blue collar police refused to come into work in solidarity with our movement. These numbers will grow. We are the 99 percent. You will not silence us." The news was released shortly after the identity of Deputy Inspector Anthony Bologna was revealed after he allegedly pepper sprayed a deaf woman. The Occupy Wall Street movement is growing and has expanded to cover other cities, such as Los Angeles, CA and Chicago, IL, with numerous protests scheduled for other cities, such as Sarasota, FL, Washington DC, Lexington, Kentucky and San Francisco, California. Occupy Washington, D.C. begins on October 6, 2011. The movement has moved into a global position with the new Occupy Together website, which organizes occupation protests from around the world. It is with hope and intent that the officers who are using excessive force on peaceful protestors realize that the only ones they are hurting is themselves through the destruction of the Constitution and the right for free speech. As the Occupy Wall Street movement grows, it is hopeful that officers from other cities will join in on the side of humanity and peace. 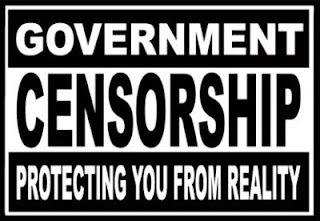 For news you won't see on the main stream media, stay tuned to in5d alternative news. Celebrities have joined forces with the Occupy Wall Street movement, including Noam Chomsky, rap artist Immortal Technique, Michael Moore and actress Susan Sarandon. In a related story, MSNBC's Lawrence O'Donnell is siding with the peaceful protesters who have been abused by the New York City Police Department, stating, "This weekend, a few troublemakers turned a peaceful protest against Wall Street greed into a violent burst of chaos. The troublemakers carried pepper spray and guns and were wearing badges... for not doing anything."